Do you know what GNU/Linux or Free Software is ? "Free software" is a category of softwares distributed under licenses that matches rules specified by the Free Software Foundation. Linux is the most chosen operating system in the world, and thanks to GNU softwares, it allows you to run freely almost any computer. Free/OpenSource softwares are (generally) available free of charge ! Do you know the most used office suite able to process the ISO format "OpenDocument" ? Do you know the software that runs the majority of web sites in the world ? a free accounting software or other ? There are 1000+ times more Free/OpenSource softwares than what you could find on any vendor catalog ! But as there is no ad's for those products, you must know how and where to find them ! 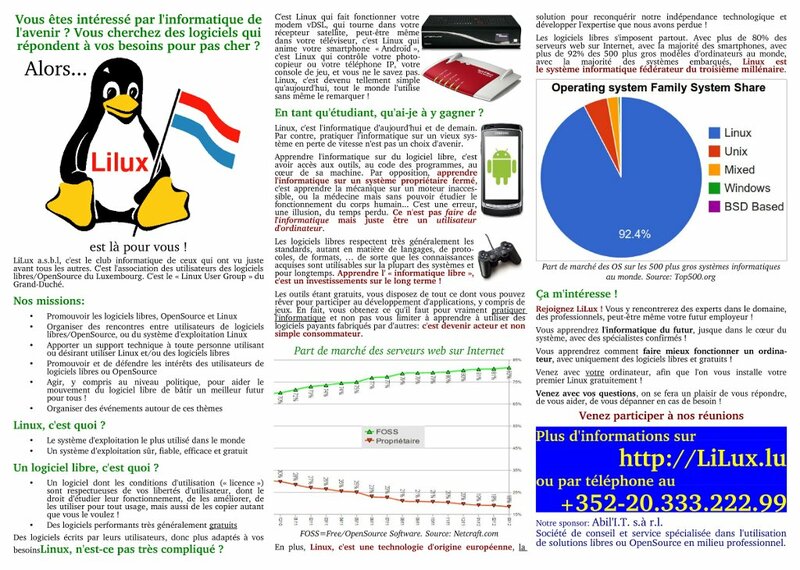 LiLux is the place in Luxembourg where to meet other (long-term/professionals/highly skilled or newbies) Free/OpenSource/GNU/Linux users, ask questions, learn what tools are available that match your needs, get assistance. LiLux also organise conferences, presentations and events around Free/OpenSource softwares and offers a forum-based assistance system for newbies. Come to US ! Free admittance for the first participation ! You wish deeper information ? What is the market share of Linux and Free/OpenSource softwares in the world ? 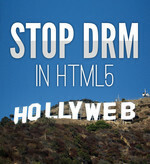 Is there a sufficient choice in Free/OpenSource software offer ? GNU This section is about the philosophy behind the free and open-source software movement, giving a historical background, to better understand how this all came. Free Software Foundation (Europe) is a European non-profit organisation promoting basic freedoms of computer users, and GNU/Linux based systems. Open Source Initiative (OSI) is a non-profit corporation formed to educate about and advocate for the benefits of open source and to build bridges among different constituencies in the open-source community.